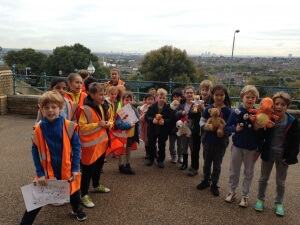 Some of our school councillors met 'Hari Bear' and children from Rhodes Avenue school up at Alexandra Palace. 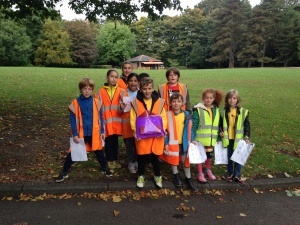 This was part of an initiative during 'Walk to School Month' to encourage children to walk rather than take the car for short journeys. 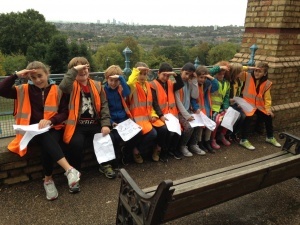 We walked up to Alexandra Palace as part of a borough wide 'chain' to link up all the schools across the borough. 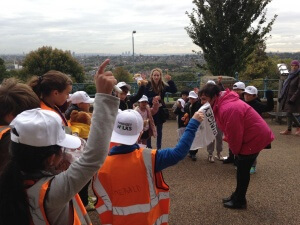 We joined Rhodes Avenue Primary School as part of that chain. 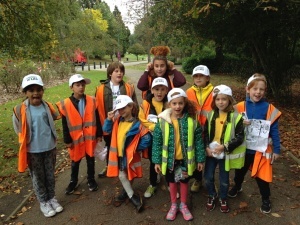 We handed over poems and posters that the children had made about pollution and promoting walking and these were added to Hari Bear's diary. Each school, that that Hari Bear went to , contributed to this dairy. 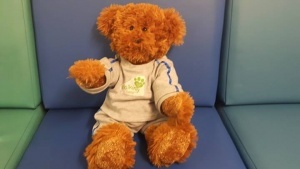 We also received Hari Bear (Hari as in Haringey!) 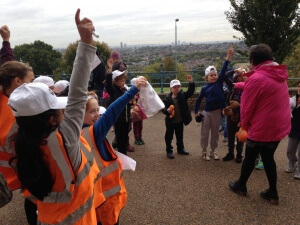 to take back to our school from the Rhodes Avenue children. 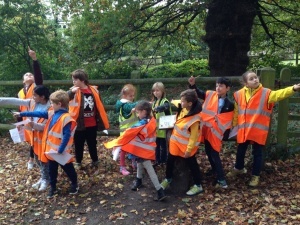 We were the last school in the 'chain' so we were allowed to keep him. 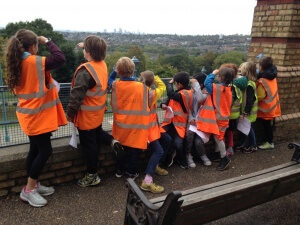 The organiser of events and history tours at Alexandra Palace came and talked to us briefly while we were there and we met the children from a Year 3 class at Rhodes Avenue Primary school. 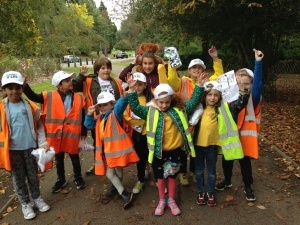 It was fun and we enjoyed the walk and being part of the event. 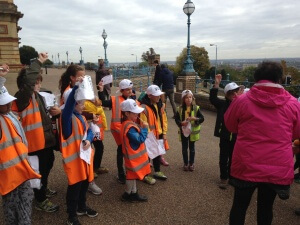 Some photographs of our adventure are attached.